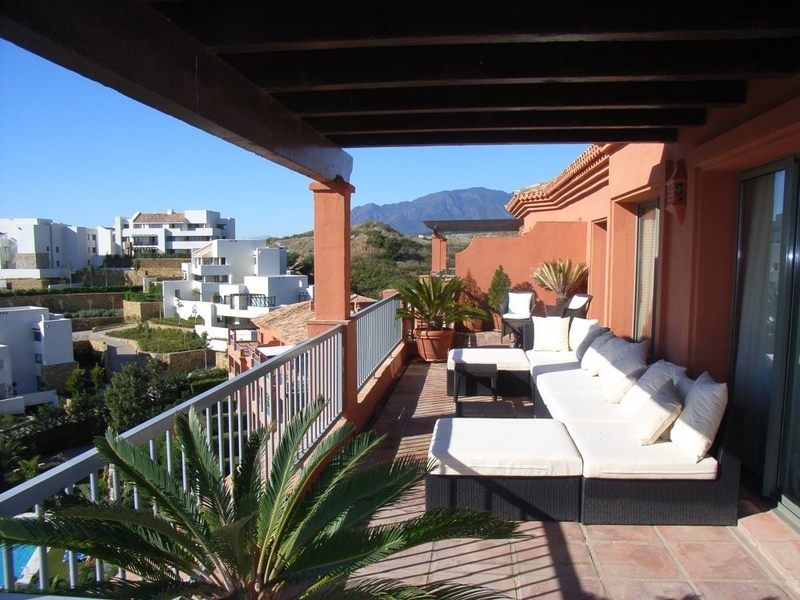 Wonderful recently constructed Penthouse located on the hillside of the New Golden Mile, situated in a new urbanization offering two 18 hole golf courses, a 5 Star Hotel, a Flamingo Lake and various facilities nearby, this property is ideally situated between Estepona and Marbella. 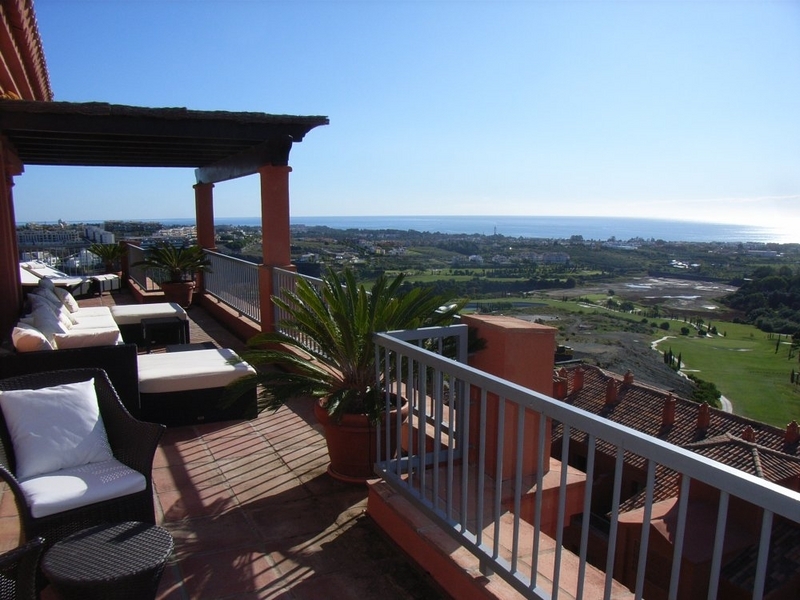 Located on a hillside in a privileged position overlooking the golf course this exceptional penthouse enjoys fantastic views over the golf course reaching all the way to the Mediterranean Sea. 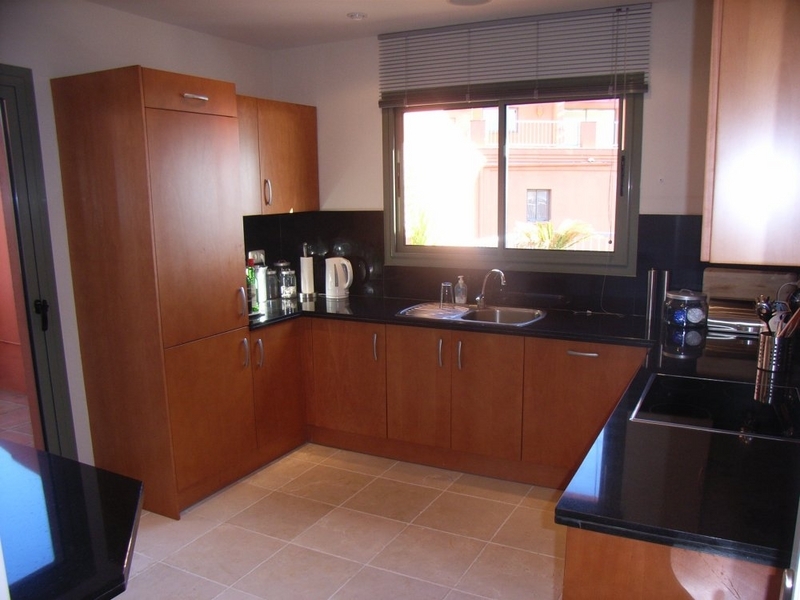 Built to high quality standards the apartment is fitted with quality marble floors, A C hot & cold, central heating by radiators as well as satellite television and 24 hour security from the community. 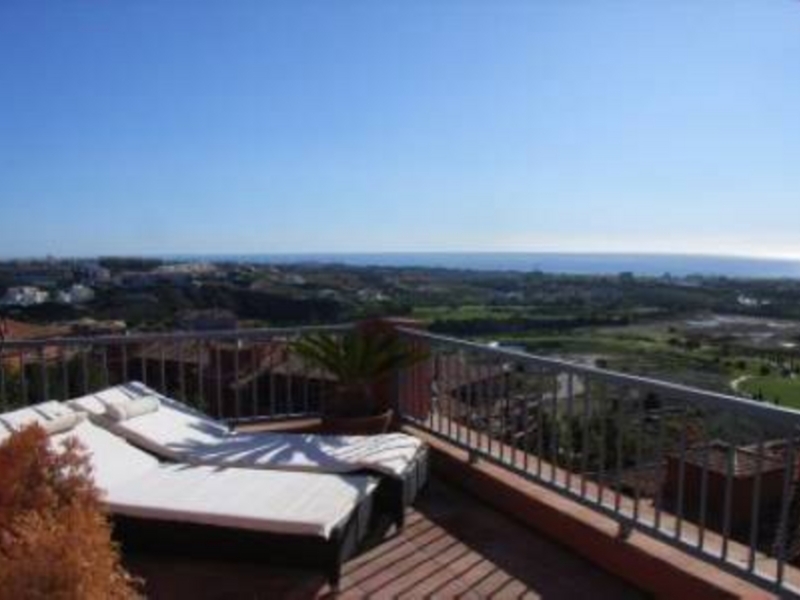 The property offers 3 bedrooms, 3 bathrooms, living room with access to a huge terrace with sun lounge and summer dining, fully fitted Bosch kitchen and laundry room as well as 2 parking spaces and a storage room in the communal garage. 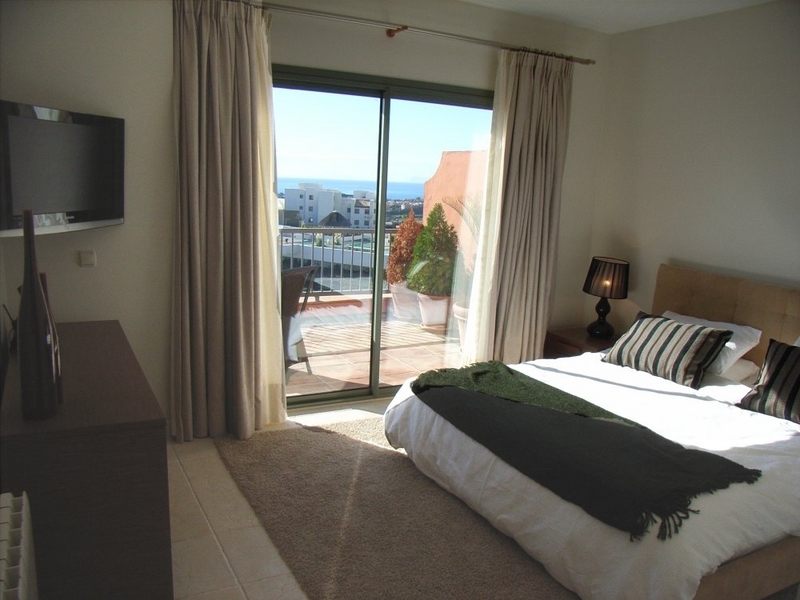 The master bedroom is en suite with terrace access, travertine marble bathroom with bath and separate shower. The property, which is being sold as seen, is fitted with a Bose music system and decorated with quality furniture in contemporary style.